Do you ever do something in your life, and wonder how on earth you had never done it before? August 28th, 2011 was one of those times for me. Sitting in the 4th row in a small but beautiful hall, I watched two guys who I had never heard of put an absolutely brilliant wrestling match, and I was utterly hooked. In early 2011 I was at a crossroads in my life. Having been a wrestling fan my entire life I was at the point where I was bored of WWE, TNA and any other Wrestling company in the world. A friend of mine had been pestering me to go to a local Indy promotion called Futureshock Wrestling for a good 6 months and I always had a trusty excuse at hand - the fact that I couldn't get there. I live in the awful city of Stoke On Trent, Futureshock are based in South Manchester and while there is a big train station in Stockport I doubted that there would be a train after the show to get me home. That all changed when I passed my driving test in July 2011. No excuses now, eh? Well there was one, the very next Futureshock show featured SOME GUY called Davey Richards........and I already had plans. Very annoying to say the least. 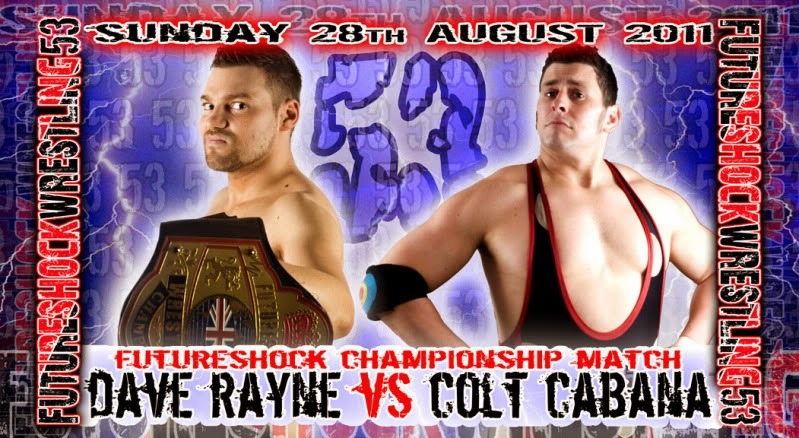 BUT, the show after that - Futureshock 53 - featured another NOBODY called Colt Cobana. I loved Colt's feud with Homicide so simply had to attend. I grabbed a fellow jaded wrestling fan and went to my first "Britwres" show! The draw for Marc's first Brit-Wres show was Colt Cabana. The 2 unknowns I mentioned at the top were Bubblegum and Jack Gallagher, nowadays 2 of my absolute favorite performers. That night I also saw The Models (Danny Hope & Joey Hayes), The Blackpool Blondes, Cyanide, Dave Rayne and Xander Cooper. All became firm favourites of mine. As a standalone show I had a really good time, and Colt was just as good as I hoped. We decided to go back for the next show and it was this one that really cemented my love for the company. I like storytelling in my wrestling, spots for spots sake or matches that happen JUST BECAUSE really get on my nerves. Futureshock have long term storylines, it wouldn't surprise me if they had a whole years worth of storyline planned out in advance. Everything makes sense, everything happens for a reason and I loved that, and still do. 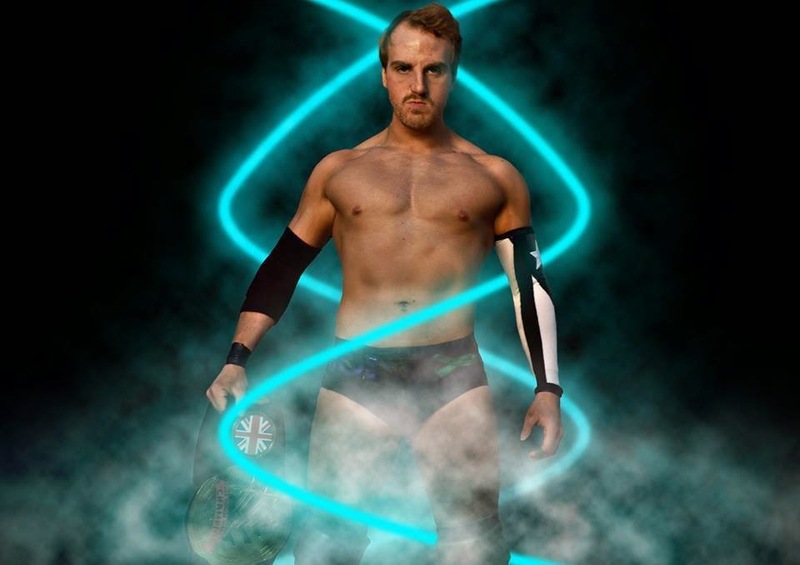 Current Futureshock Champion, Xander Cooper. Futureshock became an obsession with me. I wanted everyone I knew to come and attend these amazing shows, to the point where all my friends had either heard of the company or been bullied/cajoled, threatened into coming to a show! Even better I became friends with loads of the guys who attended the show AND, even better than that, I became friends with some of the wrestlers, so I could pick their brains about the inner workings of the business, something I've always loved, things like WHY a match is happening or the thought process behind a heel turn. Things like that. Futureshock's core business is its training school. Because of this, you won't see a show loaded with imports or that many well known "Big Name" talents like at some companies. A lot of shows feature an unknown from the school making their debut and its really fulfilling seeing a talent expand and grow, all the while becoming more and more confident as they adjust to being in front of an audience. It's quite special to see a wrestler today and be able to say "I was there for his/her first match!" That's not to say that it's all trainees on the shows. Futureshock tends to bring one "name" wrestler in per show, which is great for us fans as we get to see talent from all over the country, men we wouldn't normally see. A great example of this was on their latest Underground show where Big Damo O'Connor debuted for the company in a show stealing performance against Jack Gallagher. Damo is a wrestler I'd heard great things about so it was amazing to see him in my "home" promotion. 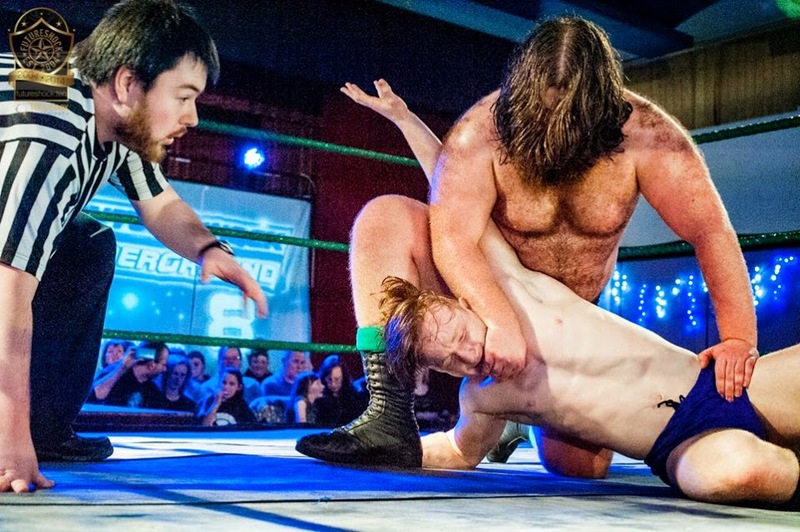 Big Damo in his Futureshock debut against Jack Gallagher. Futureshock opened my eyes to a world of Indy wrestling. Since 2011 I've attended well over 100 shows, all over the UK, from Morecombe to London and many places in between. Companies like PCW, Progress, Dragon Gate UK, House Of Pain, Fight Club: Pro, Infinite and so many more. Incredibly 2 companies (GPW and Great Bear Promotions) allowed me to achieve a lifelong dream by allowing me to commentate on their shows (I hated it, but that's another story for another time). I've seen so many talents that I never dreamed I would see, I met Terry Funk for goodness sake! And I owe it all to a little promotion based in Stockport who well and truly stole my heart. 4 years later they are running 21 shows this year, across three venues, most of which are either almost full or sold out. They are home for me, and I implore anyone that maybe interested to give them a try, you will not regret it! 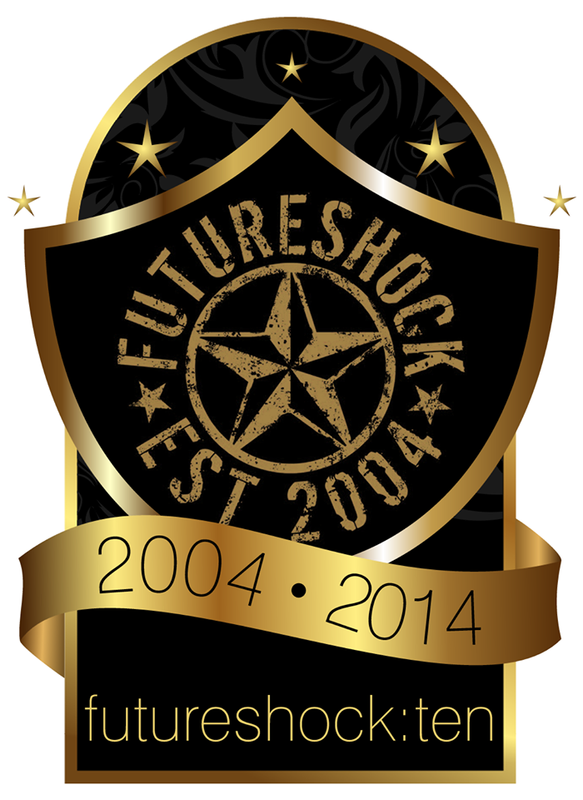 You can learn more about Futureshock Wrestling from their website, Facebook, Twitter or Youtube pages. You can find more about Marc Pearson on Facebook, Twitter and Youtube.